To undertake the task of making this extensive list, we have had to commit a great degree of time and effort. 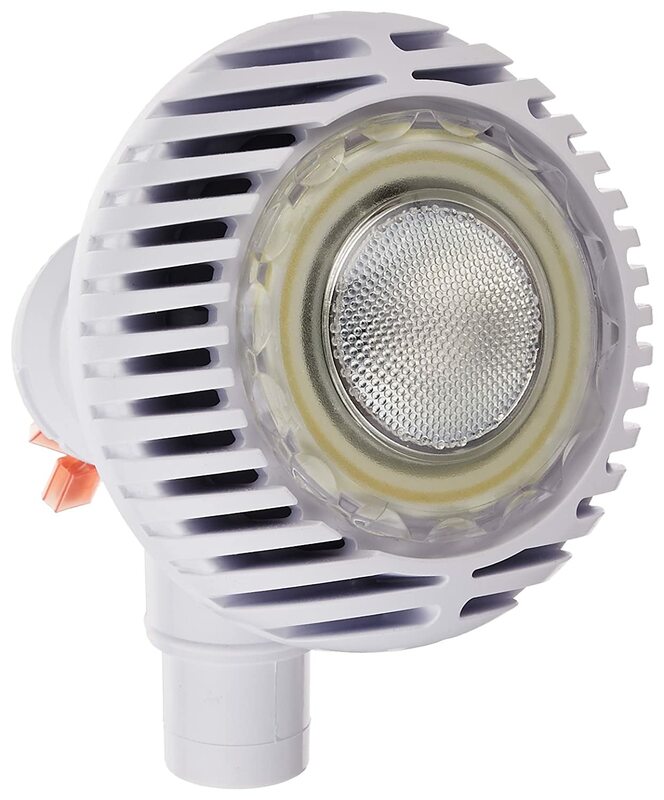 Many above ground pool lights and underwater pool lights from all kinds of manufacturers were taken into account. We reviewed so many that it’s hard for us to keep track of just how many products were considered. Each product was carefully evaluated on the basis of its positives and negatives. This exhaustive process allowed us to weed out the good from the bad and compile the information necessary for this list. The Intex LED Pool Wall Light is a magnetic light that offers great convenience. It is powered through a 120V power supply, so there isn’t too much worry of batteries being depleted. In addition to this, it generates power through magnetic technology, which allows it to run on a lower voltage than most underwater pool lights. The pool light comes with its own flotation device, making it handy to retrieve if it ever gets separated from its magnet. This has an added effect of making for an easy installation that doesn’t require any sort of drilling or mounting. 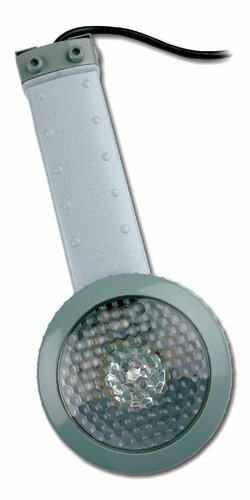 The Hitopin Submersible Lights are a unique pair of versatile and stylish underwater pool lights. The standout feature here is that you can control them via the provided remote control. This allows you to control the color of the lights, their brightness level, and additional effects. 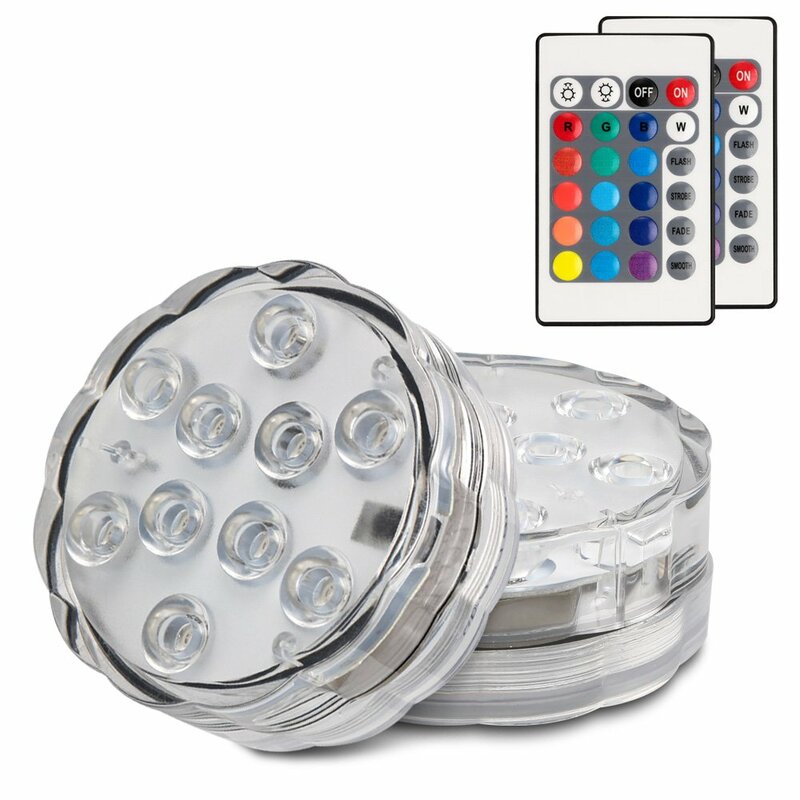 You get to choose between 16 different colors and 4 unique effects like strobe, flash, fade, and smooth. This wonderful pair of underwater pool lights is all you need to brighten up your pool whichever way you like. The customizable options make it suitable for a variety of occasions like parties, holidays, special events, and any other gatherings. Sometimes, you just want a simple pool LED that’s reliable and functional. To that end, the Bonbo White LED Pool Bulb is the perfect fit for the job. 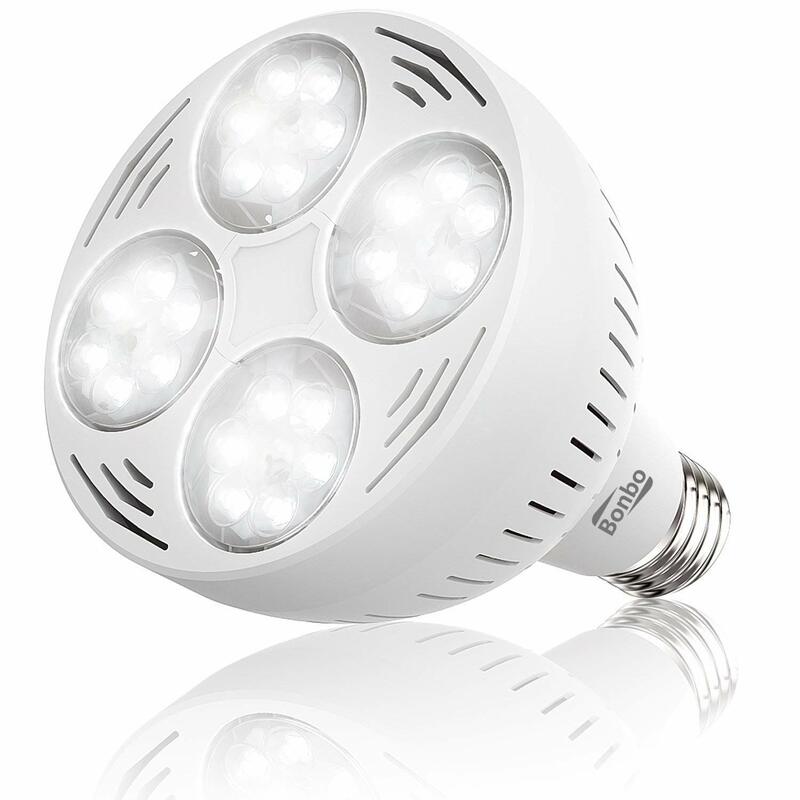 This bulb comes in 35, 45, and 65 W versions that provide enough illumination to rival 300 to 500 W halogen bulbs. This means better lighting and power savings for you. The Bonbo LED Pool Bulb is also very reliable with QA tests revealing the bulb’s capacity to last over 60,000 hours with no issue. Even if you encounter problems, the company offers a 3-month refund period. The Smart Pool NA410 Nitelighter is a no-frills pool light that’s perfect for most users. This is one of the simpler above ground pool lights that you will find. It’s completely hassle-free to install and use with the provided instructions inside. It comes with a 28-inch cord, which is something rarely seen in other above ground pool lights underwater. 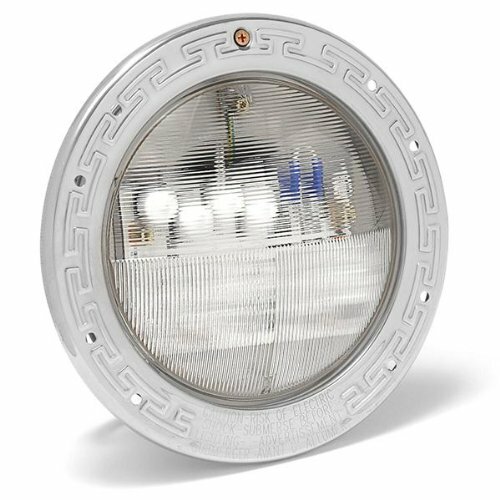 This light won’t give you much trouble in the way of reliability and durability. It has a chemical-proof lens and it doesn’t block any water return. A handy on/off switch is also provided for convenience. Overall, this a very solid pool light. Another contender for above ground lights is the Pentair AquaLuminator. This pool light comes in a bundle with the water return fitting. The water return fitting is spec’d for almost all water return outlets on most pools. Installing the unit is very easy, taking only a few minutes. It can even be done without draining the pool. The Pentair AquaLuminator lights up every nook and cranny of your pool evenly. You can choose to use the basic white light or one of the two colored filters for added brilliance. This waterproof LED strip proves to be a nice alternative to having above ground pool lights underwater. 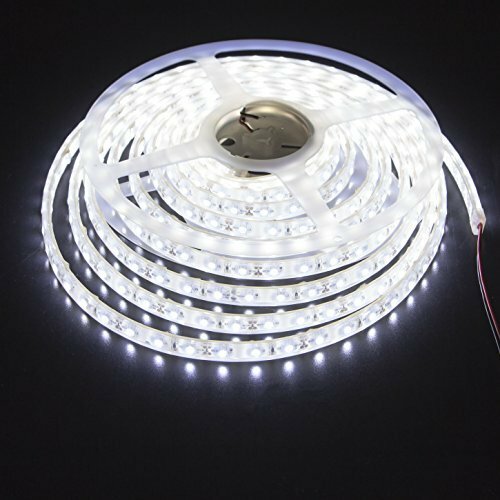 The LEDMY SMD3528 Waterproof LED Light Strip is 16.4 feet long and contains around 300 individual LEDs for better illumination. This strip carries an IP68 certification, which indicates that it’s safe from dust, dirt, and sand as well as being waterproof up to 1.5m. Even though this LED strips runs at a safe 12V, each individual LED provides 24W worth of power with an illumination of 1500 lumens. With this LED strip, you can choose how much light you need because you can cut every three LEDs from the strip. 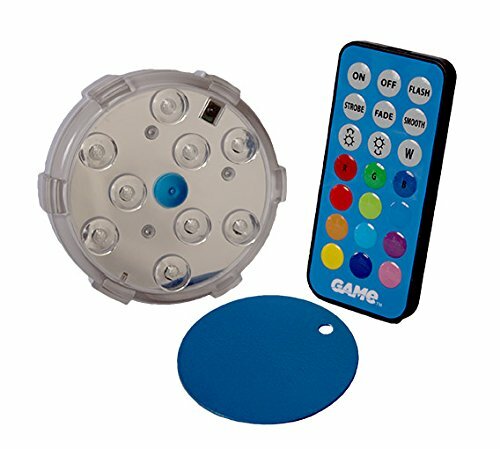 The Game Waterproof LED Pool Light is another color-changing light that sees use as above ground pool lights underwater. It comes with a remote control that can be used to change the colors and lighting effects. Installation is very easy, and you can just stick this light on any pool surface with no tools. Despite its small size, the LED manages to light up a significant area of the pool with decadent multi-color lights. It is truly a worthwhile product. The Pentair IntelliBrite is one of the few premium pool lights out there. 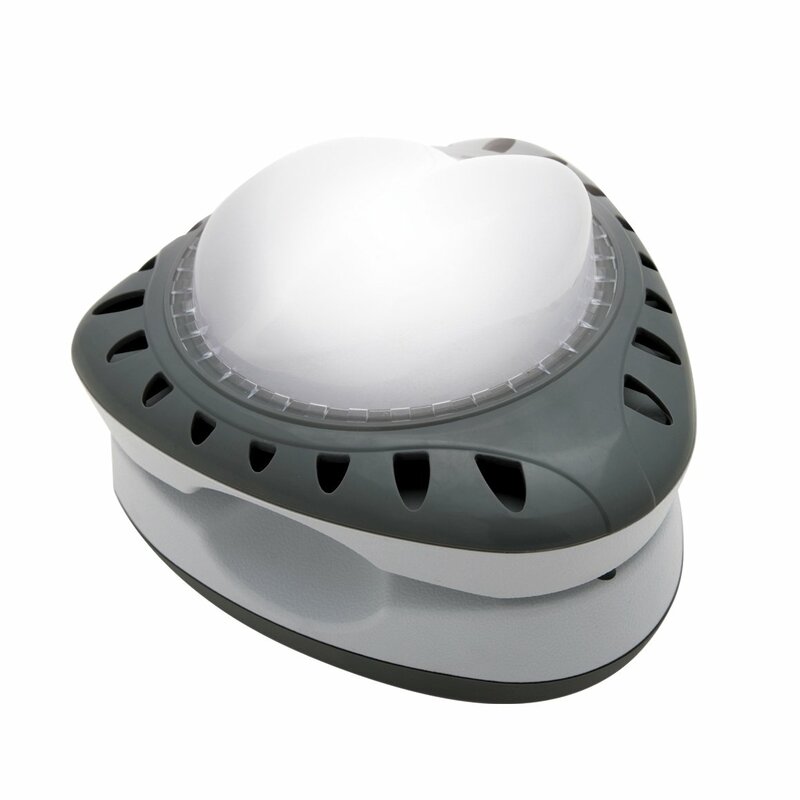 It includes some fantastic features like fixed colors and a great reflector design. Both of these features work in tandem to provide a great level of lighting to your pool. In addition, you have a lens that can rotate 180 degrees for a different range of beam patterns. All in all, this is a very hard unit to beat with great usability and features like 5 color switching and a 30-foot, high-quality cord. By now, you should have a decent idea about what your best options are for getting LED pool lights. With the options in front of you, you can easily weigh them against each other and choose the most suitable one for your needs to enjoy your swimming experience in your newly illuminated pool. Previous articleWhat is the Ideal Swimming Pool Temperature?